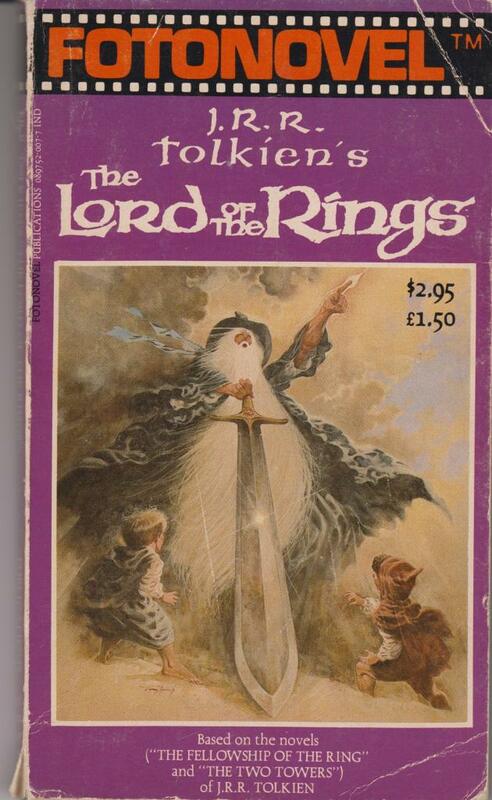 Based on "The Fellowship of the Rinhs" and "The Two Towers" by Tolkien. Over 400 full-color pictures from the film by Ralph Bakshi. Paperback, 10,5 x 17,5 cm. 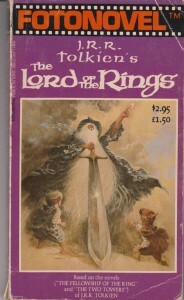 First printing 1979. Book has a little damage, see scan.